"Today is a yellow orange day. Today is a yellow orange feeling." Do you remember that song? I think it was from Sesame Street. 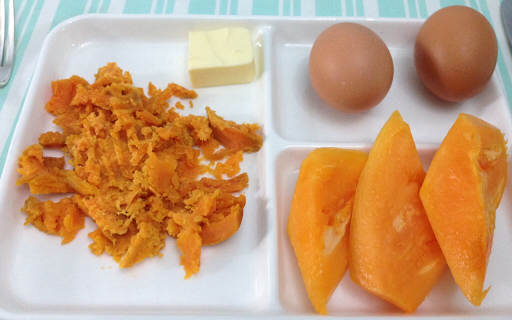 While I was eating my breakfast, I noticed the colors of my food were yellow orange! It was a bad day for my sugar reading yesterday. Before breakfast, it was 216! Prior to eating lunch it was 237. It was high but take note, this is very important.... The jump from 216 to 237 was only 21 points! So, after eating sweet potato, 2 hard boiled eggs and papaya, my blood sugar did not go up too high. 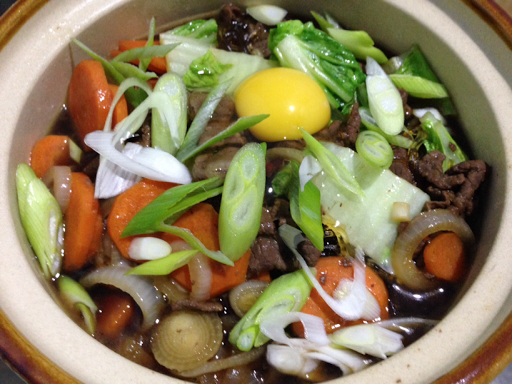 I cooked sukiyaki for lunch. 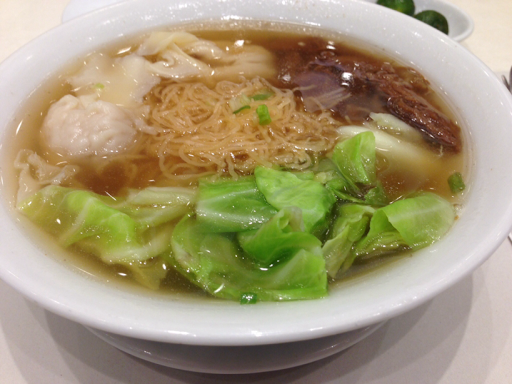 I had about half cup of rice and a small bowl of sukiyaki. And then.... The reading was 313! Grrrrrr! Too much sugar or carbs? I put mirin, sugar, carrots and sotanghon. 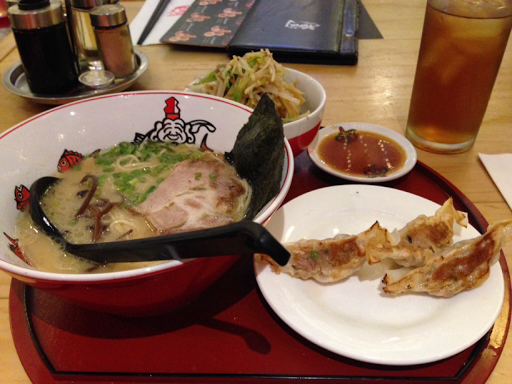 I felt so frustrated that I ate at Ikkoryu Fukuoka Ramen in Rockwell for merienda. Dinner was at Babita's house for a meeting. I really don't belong to their committee but I love the saling eating part! Healthy food because some do not eat meat for lent. We had very good baby galunggong, mongo with chicharon (optional) assorted homemade pickles. Nachos and fresh salsa were the munchies during the meeting. When I woke up, my sugar went down to 177! 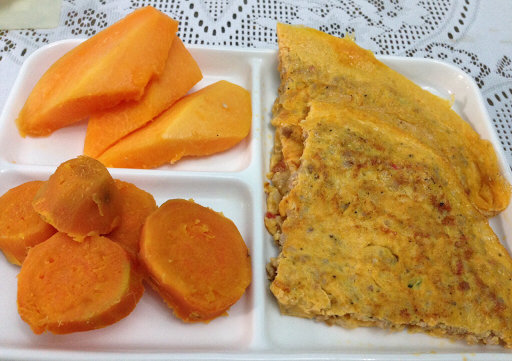 Sweet potato, tortang giniling and papaya. I have to finish the papaya because I bought the cut up pieces in container from Rustan's. No reading before lunch because I was in Glorietta for a few errands. 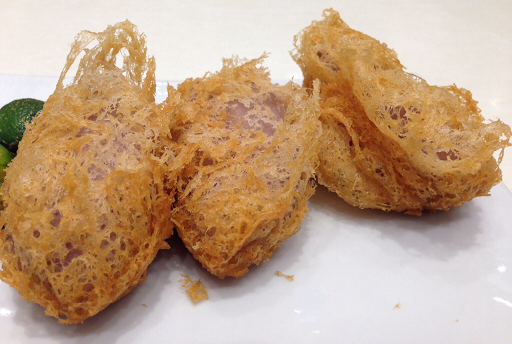 Lunch was at Luk Yuen. Merienda was Fillet O Fish. Before dinner, my suagr was 290. Too many carbs for lunch and merienda. 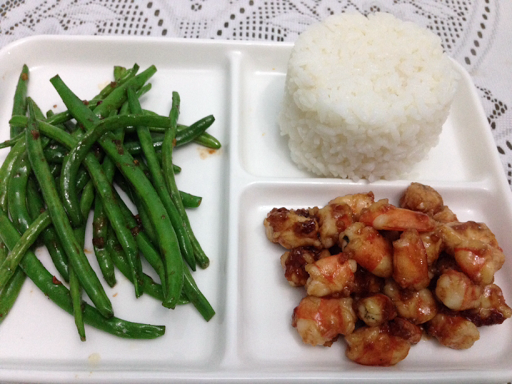 I cooked the French Beans with Shrimps and ate a half cup of rice. OK! It looks about 3/4 C.
It is now past midnight and I just checked my sugar, it went down to 279. What a horrible roller coaster ride!!! No wonder my body is so confused! I still need to do a lot of testing. I will solve this mind boggling sugar problem. If I eat a lot, the sugar is high then if I do not eat, my body will make its own sugar!